As I’m off gallivanting around merry old England then the colonies (aka Canada), am delighted to introduce another guest post by the lovely Paula McGlynn from her tour of Paul John distillery taken while in Goa for a recent film shoot. “Don’t go by the map!” he said. Michael D’souza warned me that I would get lost if I tried to find the distillery by the Google Maps location. .. I didn’t listen and got lost anyway. However, after I realized my folly I turned around and found it the old fashion way; by asking people on the street. Tucked away in the southern corner of Goa, the Paul John Distillery is to whisky lovers what the Golden Idol is to Indiana Jones… a treasure worth the effort and adventure required to find it! I first had the pleasure of tasting whisky from Paul John distillery at our December 2015 Whisky Ladies tasting session in Mumbai. While we usually go through many efforts trying to source different whiskies from our travels, this was one night where we didn’t have to venture very far. Michael had generously provided a selection of the entire Paul John range (five different single malts) for our tasting pleasure. 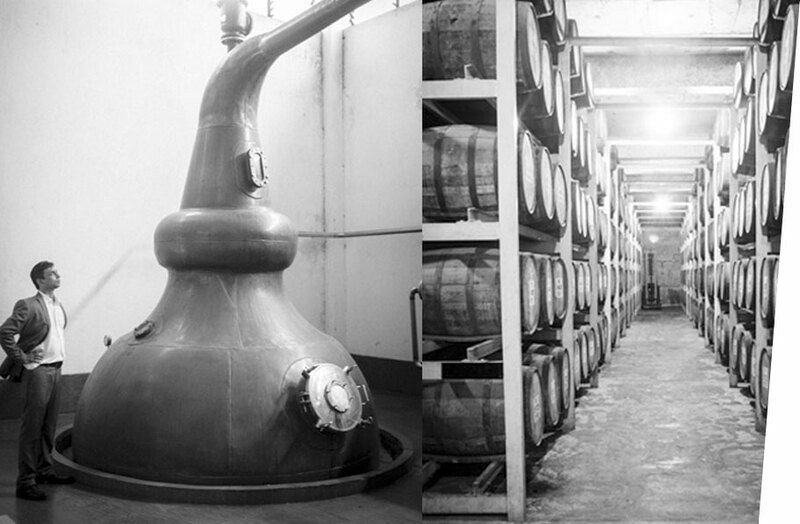 The Paul John Distillery is in a large, earthy red building in a surprisingly quiet and green industrial estate. Michael D’Souza, the Master Distiller, was soft-spoken and gracious as he showed me around. He explained that they plan to start distillery tours later on this year so make sure you fit it into your next winter trip to Goa! We proceeded to taste straight from Michael’s favorite select barrels and I sampled both peated and unpeated whiskies. The unpeated was extremely smooth, with tropical banana and coconut, while the peated was rich and nutty with some citrus notes. After leaving the storehouse we took a tour of the distillery. Before going into the barrels, the alcohol goes through the fermentation processes where the malted barley is converted to a kind of beer. To take a peep inside the chambers is like looking into a giant test tube and watching the yeast form bubbles on top of the liquid. It is then passed through two large copper stills to clarify and concentrate the alcohol. It then goes into charred oak barrels and begins its relatively short (in whisky terms) seven year wait at the Paul John Distillery before bottling. 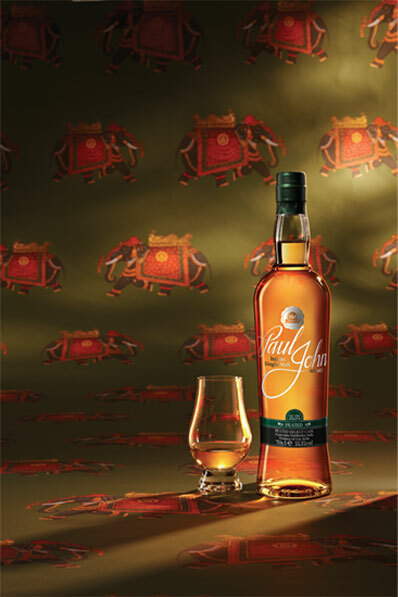 If you are in India, a visit to the distillery is a must because Paul John is currently only distributing the “Bold” and the “Edited” expressions of the whisky within India. However, the entire range must be sampled to understand how versatile and complex an Indian whisky can be! When Paul John Distillery opens for tours it will be possible for people to sample the entire range. Those not living in India can find the entire selection available for purchase in many countries including the UK, France, and America. When you have a chance to sample, do try for the Peated Select Cask if you’re a fan of bacon and peat! It’s a personal favorite of many of our Whisky Ladies as well. For your own interest, do check out the website for Paul John Distillery: http://pauljohnwhisky.com/ and slot it into your next trip to Goa. This entry was posted in Beyond Scotland, India and tagged Goa, Indian whisky, Michael D'Souza, Michael John, Paul John Distillery, Paul John Whisky by Carissa Hickling. Bookmark the permalink.